All too often, dentists choose to ignore underperforming staff instead of addressing the problem. Why? Because doing nothing seems like a better option than going through the time and hassle of correcting the situation. But ignorance is not bliss. Whether your employees are texting during work hours, slacking on the little things, stirring you-know-what among staff or committing major errors, your under-performing employees, to put it harshly, are stealing from you. The focus and energy these employees sap from the practice deprive you of much more. You can not be as effective in your role when you are worrying about whether your staff is doing their job. Add to that the internal conflict that can develop when an employee doesn’t pull her own weight or “gets away” with it and others have to pick up the slack. The rest of the team begin to resent it and factions form. The next thing you know, trust and teamwork has eroded and you have a full blown dysfunctional team. When all you wanted was to avoid all the hassles, you end up spending more time managing the inefficiencies and conflict. Enough already. You can no longer afford to work with people who are inefficient, ineffective, and cost your practice time, money and negative energy. The first step is to admit your role in allowing it to occur, take a big breath, then set out your plan for a course correction. Expectations are reasonable only when they are clearly conveyed and that is where you should begin. Before you decide to let anyone go, apologize for your lack of leadership. Then clearly convey your expectations and give your staff the opportunity to demonstrate their ability to change and perform at a higher level. Once these expectations are clear, everyone must agree upon them. You must also outline the consequences if the expectations are not met and emphasize that you will hold each person accountable. Whatever your approach, stick to it. For instance, if you establish a one strike rule, one violation equals one strike. That’s it. You formally put them on notice, in writing, and monitor improvement with a specific deadline for a follow up evaluation. Seriously. Fire employees who don’t get with the program. Get rid of the bad energy, increase your chances for a healthy and productive team. Your documentation will provide the support and justification for letting them go and it will demonstrate to the rest of the team that you are committed to a higher standard. Start establishing a culture of excellence by continually recognizing those who are performing at a high level. -Verbally mention their performance in the moment, in front of patients and co-workers. -Take time during team meetings to call attention to a team member’s exemplary work. -Plan on recognizing high performance with unexpected recognition such as a gift card, or one time bonus to show appreciation to the group or individually. If you aren’t getting your money’s worth, make a change in the way you address staff who aren’t living up to your standards and expectations. 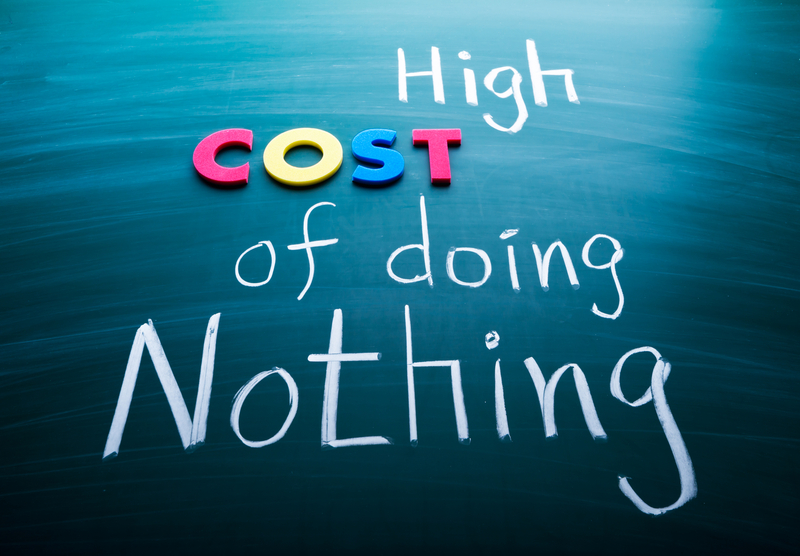 Start today because there IS a high cost for doing nothing. Help! My Staff is Holding Me Hostage! What caused such distress? What made the situation so urgent? As it turned out, the dentist was having difficulty keeping a chairside assistant and was faced with hiring for the third time in less than one year. His receptionist had left but he wasn’t happy with the performance of her replacement. Each day brought another drama with the hygienist whose personal life was in total disarray. The practice was totally unstable and he feared losing another employee every day. What would his patients think when every time they came in there were different staff members? “My hygienist didn’t show up for our meeting yesterday and didn’t even offer an explanation. We are constantly bailing her out of personal situations. I know it’s hard for her – she’s a single mother and doing the best she can. Then, my chairside assistant refuses to do things that are part of her job. I end up having to pick up the slack at the end of the day before I leave. I overheard them complaining in the lab today about a continuing ed program I was paying for them to go to on their day off. They joked that they would just sit in the back and text on their phones. I’m afraid to lose them because our patients seem to love them and I’d have to spend time breaking in new staff but I don’t know how much longer I can go on. I feel like a doormat”. While this scenario may vary from one specific practice to another, the problem is basically the same in many: dentists who neither know nor enforce their boundaries and expectations because they are afraid they may lose staff. Indeed, their staff is holding them hostage. How does it get to this point? While we all have busy, challenging lives that can effect our professional lives, these issues should never dictate office policy. This is an area in which many dentists confuse their personal relationship with their work relationship. It stands to reason that because you work together closely all week, you might easily develop a strong bond with one another. You may find yourself identifying with your staffs’ personal problems, like managing a home and family and trying to make ends meet. Express your empathy, of course, when appropriate, but as an employer you must establish clear boundaries. Do not advance paychecks, pay rent, loan cars, or pick up kids. Do not make concessions for days off outside a very rare and unavoidable situation. By doing this you will set a very dangerous precedent. Other employees will consider it favoritism and they will expect you to afford them the same concessions. If you have already “let that horse out of the barn”, you can reverse this trend. Gather your group together and apologize. Explain that you care about each person on the staff and this has clouded your judgment. It has created a problem for you and others. You must now establish a new set of boundaries that are in the best interest of the practice and your patients. Then you must outline where you went wrong and what you are no longer willing to sponsor. They may not like it but they will understand. If you believe your personal relationship with an employee has gone so far that the two of you can no longer be effective working together, give us a call. We can help you sort out what the appropriate next step should be. 2) Even if it’s written down in the manual, not every employee will know what’s expected and will follow through. Your employee manual means nothing without two things. First, your staff needs to understand the bigger picture. It is your job to clearly convey to each person what your practice is there to accomplish and how their efforts are expected to help make that happen. The big picture is crucial. More than the step-by-step guide that a manual provides, your explanation of the practices’ purpose, as well as your beliefs and tangible examples of how this purpose is played out on a daily basis is vital. It will give them a guidepost to follow in their day-to-day challenge of making decisions about what is in the best interest of the practice and the patients. Second, every employee must be on board with your purpose. Each must be in alignment with your belief system and share the same basic values. And you must have their agreement about their role and responsibility. This can best be accomplished as a group discussion where each staff person has an opportunity to ask questions and gain perspective. Time consuming? You bet. But without this clarity your staff will be working without a clear direction which often works at cross-purposes with the practice goals and will cause a great deal of frustration for everyone. 3) Hiring and training the right way often takes a back seat to retaining under-performing staff. A good way to think about your problem employees is the bad girlfriend or boyfriend you may have had. You knew long before you broke it off that things weren’t working out but you avoided it hoping things would get better. They rarely do. Then, when you finally got up the nerve to end it, you thought to yourself, “I should have done this a long time ago”. Your under-performing staff are robbing the practice. Pure and simple. You simply can’t afford to work with people who are inefficient, ineffective, and cost your practice time, money and resources. The focus and energy these employees sap from your patients and practice deprive you of much more. You can not be as effective in your job when you are worrying about staff doing their job. It stands to reason that the under-achievers aren’t dedicated to your practice purpose and patients are not receiving the same care and attention you strive to provide. While hiring and training (and doing it right once) requires time and energy, doing it over an over again takes you away from focusing on dentistry. And it’s not a lot of fun. Cutting your losses and embarking on the hiring process can be an opportunity to make a course correction. If you approach this process correctly, you will avoid having to carry dead weight on your team. You will have a solid and stable group of individuals for a longer time. Approaching the hiring process correctly is essential. You can bring your new hires on with a strategy for success that includes a thoughtful training plan designed to help them succeed. Equally important are periodic evaluations (for everyone) to keep your team performing at a high level, stay motivated and focused on the big picture. 4) Good people are hard to find but not impossible. There are way too many dentists “making do” with staff because they are afraid they won’t find a better replacement. While high-performing employees are more rare and difficult to find, they are out there. It is just a matter of knowing where to find them and how to attract them. They may be disenchanted with their current job or looking for a greater challenge or more responsibility. Perhaps they don’t feel they are appreciated or they deserve more compensation for what they do. Those are your candidates. It just requires more diligence on your part to find them. It takes a dedicated effort, creativity, and a solid plan to attract that exceptional staff member. It starts with an exceptional ad that is masterfully written and trying new and innovative strategies to distribute your ad. Most practices do a lousy job at this and dread the process. 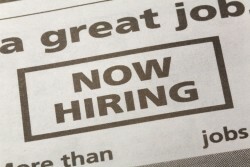 The pool of candidates often reflects the quality of the ad, which often misses the mark. Are you being held hostage? Stop letting your staff dictate what happens in your practice and take control. If you believe it is a matter of establishing clear boundaries and re-establishing expectations, start the process today. You can no longer afford to allow this to go on. If you know in your heart that there are one or more staff people who would be better off somewhere else, start making plans today to embark on the hiring and training process. Of course, we can help guide you through this. We can help you clarify where you need to make changes and develop a thoughtful process for implementation. If you plan to hire, consider calling on us for support or using the tools in our hiring kit. You can learn more by clicking below or calling us at 800-848-8326. While it’s clear that our patients have expectations – sometimes valid, sometimes unrealistic – we have expectations too! And how often is it that our patients disappoint us because they don’t do what we expect of them? While this blog article could turn into a full-on gripe session about those darn patients and how they constantly let us down, I believe how we think and what we do or don’t do, have a great impact on how our patients act and if we want them to change, we have to change first. Here’s the deal; First, there are some things that we don’t get a vote on and there are other things we do. Second, how can we hold our patients to accountable to any expectations if we don’t come right out and have an honest conversation about them? Expectations are reasonable only when they are clearly conveyed, discussed and agreed-to by both parties. I could devote a book to this subject. How often does a patient let you down by no-showing, or arriving late (and thinking it’s OK, I might add)? How dare they? First, this is a professional business arrangement. It can’t be treated casually. Having your patient sign a form with your “office policy” is not good enough. (How many people read it anyway?) You must look your patient in the eye and tell her you have reserved this time with “fill-in-the-blank” just for her, you will be fully prepared when she arrives, and ready to get started. “Can I get your commitment to that?” THAT will get their attention. Message: you’re late, I run on time. I will not inconvenience my next patient, you will still pay for your full appointment, and you might have to come back again. Reasonable? I think so. Aside from insurance claims, there should be no reason for you to have any outstanding accounts with patients. Period. How is it that practices get into the accounts receivable business with patients in the first place? Unspoken or unclear understandings about 1) the fee and 2) the terms for paying the fee. “Gentry, the fee for the treatment you have chosen is $fill-in-the-blank and our first preference is that be paid (in full at the first appointment or a % to reserve the appointment and remainder on the first appointment, etc.). Will that arrangement work for you?” If it does, great. You are done. If it doesn’t, you find an alternative that works for both of you. Remember, it is better to NOT do the dentistry than to do the dentistry and NOT get paid. What would we want our patients to be honest about? #1 on the list: Let us know how you are feeling and what you are thinking. You can’t read your patient’s mind. You need to know if he is apprehensive, if he isn’t sure the treatment you’ve recommended is right, or if finances are an issue. That is why having a dedicated and gifted facilitator on your team can help you connect with patients at a deeper level and help them voice what might otherwise be left unsaid. #2 Lifestyle, health issues or recreational/prescription meds. These have a huge impact on what your recommendations might be and the outcome. #3 Don’t make an appointment if you don’t intend to show up, or agree to treatment if you aren’t sure, etc. We’ve all had them. The patients who show up on your schedule and you break out in a sweat. You plan a strategy to be in the lab when she arrives. You avoid engaging her in conversation and ignore the terse comments. In my opinion, that is NOT OK. If there are patients in your practice who are bullies, they need to be called on it. When my kids were little and one of them would come to me complaining, “Mom, Casey’s chasing me”, my reply would always be, “Then stop running”. The same is true with nasty-tempered patients. Yes, it is uncomfortable to address someone when they are behaving badly but it can be done with grace and one of two things will happen: it will either defuse the situation and she will recognize, apologize or explain herself OR she won’t get it and the relationship will end. Either way, you win. You will know very soon by her response where to take the conversation next. Conveying your expectations makes such good sense because it prevents a myriad of problems before they occur. And you will find that there are many remedial systems that can be eliminated when you front-end your relationships with a conversation about expectations. Having direct conversations with patients about these expectations requires team members with courage, confidence and finesse. It requires level thinking, maturity and most important, time. That is a big investment but pays off quickly by eliminating many of the issues that cause us stress.